Oak Plumbing Inc. maintains and repairs plumbing systems for residential clients in Solano, Contra Costa, Marin, Napa, and Sonoma Counties. 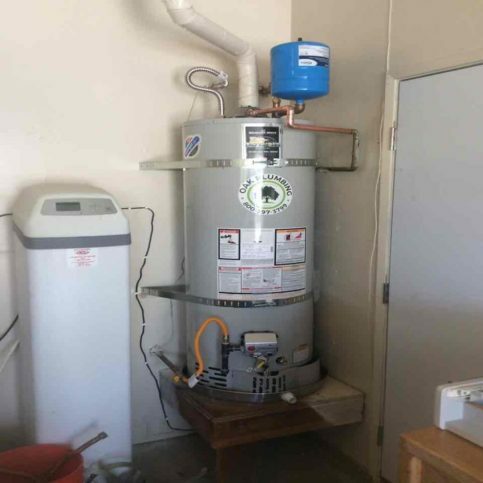 The company has the in-house capabilities to handle everything from routine drain cleanings to comprehensive water line repairs, and it’s also qualified to install, maintain, and repair all types of water heaters, including tankless models. 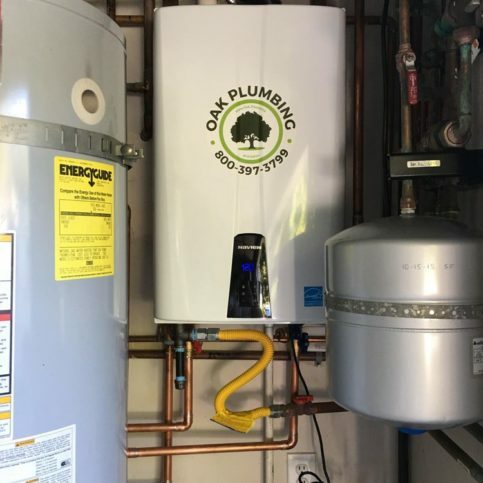 DIAMOND CERTIFIED RESEARCHED CAPABILITIES ON Oak Plumbing Inc.
Company Name: Oak Plumbing Inc.
DIAMOND CERTIFIED RESEARCHED ARTICLES ON Oak Plumbing Inc.
Oak Plumbing installed this water heater in a customer’s garage. 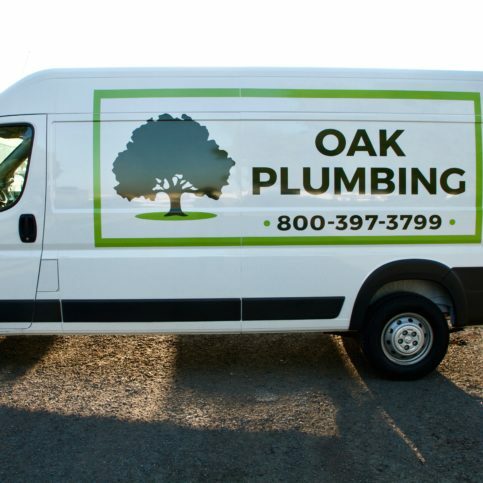 Oak Plumbing extends its wide-ranging plumbing services to residential clients in Solano, Contra Costa, Marin, Napa and Sonoma Counties. 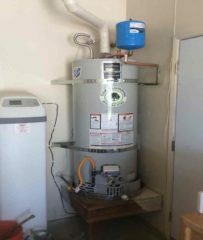 The company has the training and equipment to handle everything from drain cleanings to water line repairs, and it’s also qualified to install, maintain, and repair all types of traditional and tankless water heaters. 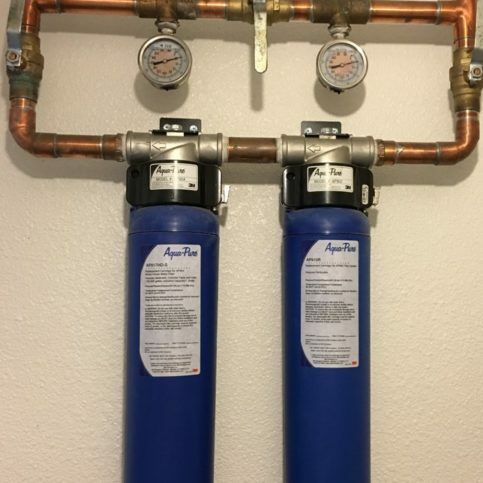 If you’re looking for an affordable way to upgrade your plumbing system, consider Ygrene’s PACE program. A: No, we give proposals. The difference is an estimate gives an approximate cost while a proposal gives a concrete price. Estimates often change during the course of the job, and not usually in the customer’s favor, but when we give you a proposal, that’s the price you’ll pay. Q: How soon can you start working on my job? A: We run three appointment windows every day: morning, midday and afternoon. Once we determine what works best for your schedule, we’ll give you the soonest appointment we have available. Q: Will you charge a fee for assessing my job? A: Yes, we charge an evaluation fee for the time our technicians spend determining the cause of the problem. Since our proposal price is binding, our technicians need to know ‘exactly what the problem is. Q: Do you offer preventative maintenance services? A: Yes, we offer a couple of membership plans that include annual maintenance, safety inspections and a 10 percent discount on all work. SELECTED PHOTOS FROM Oak Plumbing Inc.
James Burton is general manager of Oak Plumbing Inc., a Diamond Certified company. He can be reached at (707) 652-9121 or by email. A resident of Rocklin (where he lives with his wife, Maricar, and their two children, Camille and James), James spends his free time on a variety of active pastimes. “I’m not the type of person who likes to sit still, so if I’m not working or having family time, I’m usually busy with one of my hobbies,” he affirms. “My main hobby is creating independent comic books for a company called Scattered Comics. I make appearances at comic conventions and have won a few awards for the books I’ve done.” James’ other pastimes include restoring vintage vehicles (“I have a 1976 Harley that I’ve been rebuilding forever.”) and teaching kung fu. A: “American Gods” by Neil Gaiman. A: I love music, but these days I mostly listen to podcasts. I have a really long commute, and listening to podcasts gives me a chance to learn something new and make the most of that time in the car. A: My all-time favorite movie is “Army of Darkness.” However, a more recent favorite is “Logan,” which I appreciated in a way I never thought I would. A superhero infected with cancer, watching his surrogate father die—it hit pretty close to home. A: I really love Asian food and Mexican food. I married into a Filipino family, so Asian food is a staple. On the other hand, you can’t beat a good taco! BENICIA — When it comes to maintaining your home, one of the best things you can do is think proactively. The health of your home is just like the health of your body. Most of us tend to think proactively about our health: We go to the doctor for annual check-ups, as well as when we think there may be something wrong. Doing so gives us peace of mind because we know the state of our health and what needs to be done if we have any ailments. Unfortunately, few people think proactively about their homes, which includes their plumbing systems. The average homeowner doesn’t have a plumber regularly inspect their plumbing system, which means several years can go by before the system is seen by a professional. 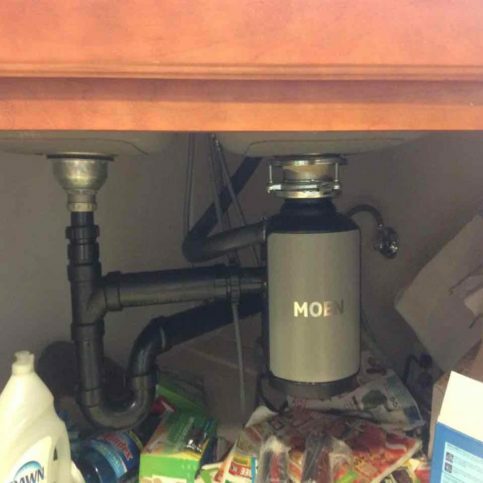 During this time, small problems can develop with plumbing connections and fixtures, but without regular inspections, they often go unnoticed. 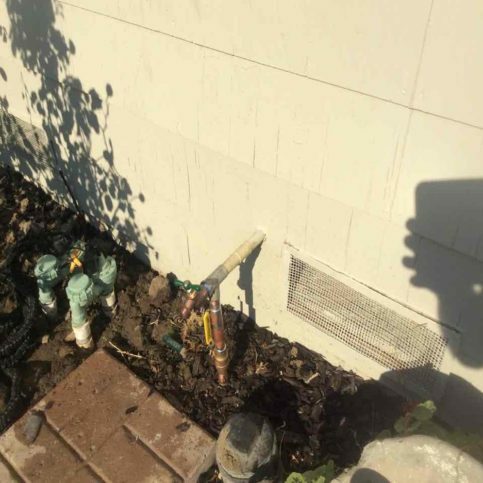 When the homeowner finally discovers a problem, it’s usually after significant damage has already occurred—for example, after their crawl space is filled with water. At this point, it’s extremely expensive to fix the problem because the damage has already been done. In contrast, when you have your plumbing system inspected on an ongoing basis, such problems can be caught early, before they result in major damage. In this case, the repairs will be far less expensive and you can rest assured that your system is in good shape going forward. To ensure your system is seen regularly by a professional, consider enrolling in a service agreement with a trusted plumbing company. For an annual fee, you’ll receive regular inspections and services, along with other customer perks. It’s a small price to pay for peace of mind—not to mention a healthy plumbing system. BENICIA — Host, Sarah Rutan: The best way to avoid plumbing problems is to be proactive about routine maintenance and inspections. Today we’re in Benicia with Diamond Certified Expert Contributor James Burton of Oak Plumbing to learn more. 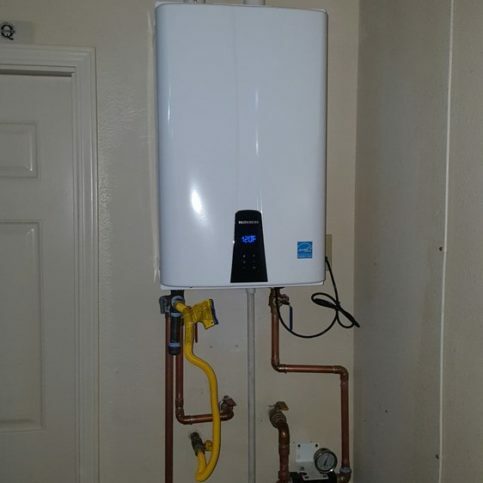 Diamond Certified Expert Contributor, James Burton: The best way to avoid plumbing problems is to be proactive about routine maintenance and inspections. Today we’re in Benicia with Diamond Certified Expert Contributor James Burton of Oak Plumbing to learn more. Diamond Certified RATINGS ON Oak Plumbing Inc.
Oak Plumbing Inc. : Average 8.8 out of 10 based on 125 unique customer surveys of customer satisfaction. We were very satisfied and recommended them to our neighbors. I'm the happiest with their service, more so than I have been in years using other plumbing contractors. They work together as a team and take pride in their work. I was very impressed with they guy that came out. They were able to fix something other than what was requested, and they had the part readily available in their truck. The guy that came out was great. He knew what he was doing, explained to me what he was doing, and was friendly. Overall, they were very helpful and got the job done. Their plumber came out as promised and did his job very efficiently. They came and cleared out pipe from the kitchen. They did a great job. It was expensive, but they came and did it within an hour. Nothing specific, they just got the job done. I feel like they did a wonderful job. They cleared the pipe we needed cleared. I would say that the worker was great. The reason I called was that I was expecting an estimate that turned out to be very unrealistic. The ad I saw said they could unplug your drain for $90 bucks. It was actually more like $150, but he was there, so I told him to do the work. The advertising misled me, but I was happy with the work. He explained what he'd do, and he went a couple of steps beyond what I expected to make sure it didn't happen again. They took care of the problem, and they were prompt.